The stuff of Sci-Fi films where robots live among us and complete tedious chores at our command is coming closer to reality. Enter AI assistants like Alexa, Google Assistant, Siri, and Cortana. These AI helpers take the form of a voice coming out of our devices, shout out a command and they make it happen. It is the science fiction fantasy of lazy people everywhere, and a Luddites’ nightmare, coming to fruition. AI assistants are bringing us closer to a future where we won’t have to lift a finger to get what we want, but at what cost? Everyday tech companies are finding ways to make our lives easier. Turning phones into handheld devices, making computers lighter, sleeker and faster, and making everything virtually wireless. AI assistants are one of the newest and most popular additions to the mix. AI assistants sometimes referred to as voice assistants, are the “voices” of pre-existing artificial intelligence within our devices. They use speech recognition and natural language processing to supply responses to queries and provide various services using certain applications. In recent years, the advancement of this technology has skyrocketed. AI’s like Alexa (the voice assistant that comes with Amazon smart speakers) can even make jokes and present a“sassy” attitude. 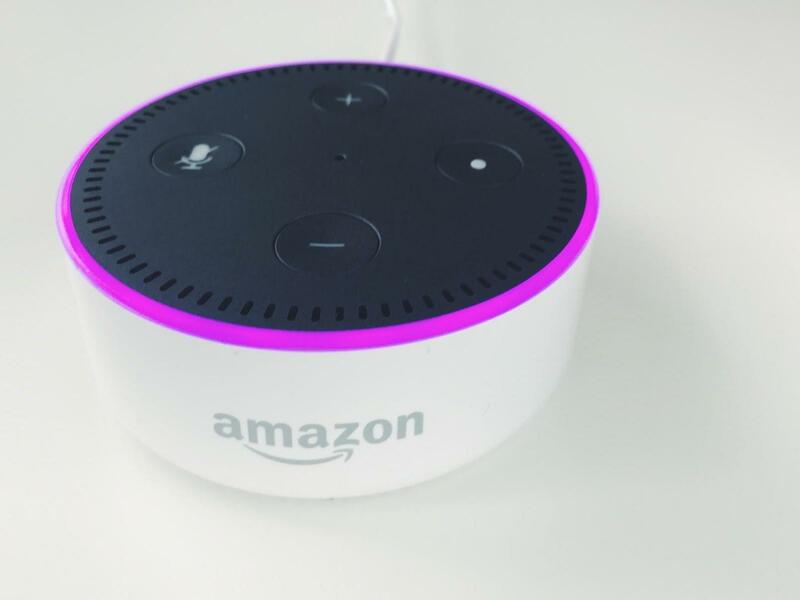 According to The Voicebot Smart Speaker Consumer Adoption Report 2018,47.3 million adults in the United States have a smart speaker in their homeand this number is expected to rise in the next couple of years. Asmart deviceis able to connect, share, and interact with its user and other smart devices across the internet. They have a set of programmed “skills” which may include access to certain apps on your devices, internet searches, and making phone calls or sending texts to your contacts. Depending on exactly how they’re programmed their abilities will vary. Alexa has over50,000 skills and works with over 20,000 compatible devices.This means “she” offers a large range of completable commands. The most useful include ordering food to your door, calling you an Uber or playing a song on your command. Her whackier skills include telling jokes or “reading” your kids a bedtime story. CNET has provided a detailedlist of things you can ask Alexa to do. Google Assistant has nearly2,000 commands. Although this seems significantly less than Alexa, Google Assistant has access to all your Google accounts including Gmail, Docs, Sheets, and Drive. This AI might be more helpful for someone who is using it specifically for professional/business purposes. Here is thecomplete listof what Google Assistant can do. Siri is compatible with all Apple smart devices. If you’re an Apple devotee “she” can really come in handy. Siri is helpful for all hand-free interactions with your devices. When you get a new Apple product you can immediately set up Siri to recognize your voice throughHey Siri. Siri can send texts for you, browse the internet, make calls or play music. Depending on which device you’re using the range of commands may vary. If you’re driving, or cooking shouting out “Hey Siri” instead of reaching for your phone can really come in handy. Here are some ofthe things Siri can do. Cortana has a bit of way to go before it can dominate the AI assistant market. But as it is now, can launch applications, set appointments, and adjust settings within your computer (if it runs on Windows 10). Here is thecomplete listof Cortana’s commands. Are AI Assistants Changing Our Lives For The Worst? Technology is a double-edged sword. It’s helpful but also harmful if used irresponsibly. Because a large range of tasks can be completed through voice command these days, we’re beginning to be accustomed to getting whatever we want without much effort. Furthermore, AI assistants don’t argue, so no favor is too grand. Even simple tasks, though, are being eliminated. No need to stand up to switch off your lights or lock your door, you don’t need to fetch the morning paper from the doorstep to read the news and you don’t really need to speak to anyone but your device if you don’t want to. Sure, it’s convenient. But at what cost? If voice assistants are making adults lazy, imagine the effects they’ll have on our children. Growing up with voice assistants can confuse kids. AI assistants are not people and each interaction your child has with them is based on a sea of data. Letting your children interact with them from a young age can stun their social and emotional development. Aside from that, voice assistants make children lazy in doing schoolwork. “Too many people have them installed without thinking through all the ramifications, like how their kids will actually learn anything if they get all their homework answers from an AI assistant.” Said Katie Patrick, a family counselor from Dubai. Beyond sheer laziness, AI assistants may also be making you dumber.If you’re a student there’s no need to open a book, no need to even type in a google search, all you have to do is activate your AI verbally and have your question answered. If you’re driving a car or walking around, there isn’t even a need to pay attention to where you’re going because GPS will speak out every turn you need to make. Instead of storing information in our brains, we’re storing them in artificial intelligence so they can do the thinking for us. We don’t needto knowthe correct directions, or the answer to a question, we just need to ask our devices. “Worrisome evidence suggests that our own intelligence is withering as we become more dependent on the artificial variety… Rather than lifting us up, smart software seems to be dumbing us down.” Pulitzer Prize finalist Nicholas Carr wrote in his Wall Street Journal article called Automation Makes Us Dumb. Voice command works because of the tiny microphones that are installed inside every smart device. The companies developing the gadgets vehemently deny that AI assistants are capable of spying on their users since they are only activated once their “wake word” is uttered. The companies state with all confidence that the privacy of each device owner is safe. Data breaches are not uncommon, however (i.e.FacebookandApple) and the potential to listen in or watch through a smart device has been proven possible. AI assistants can be a fun piece of tech to have around and can also be extremely useful. But start relying on them too much and the effects on your own intelligence and productivity will be grave. New technology is always exciting to experience and it’s impressive how far humans have already come, but we need to be mindful of how we’re using it and what is at stake when we do.